We do not need to introduce Panda Dub anymore, as he is much present on the french and international dub scene since 2009. With over 200 shows to his credit, and over 7 albums available in free download, Panda Dub stood out with a unique style, while promoting the free music. Panda Dub project was born in 2007, in Lyon. Panda’s style is a perfect blend of ethnic samples, edgy and power-full electro tunes, and heavy rythm. Panda Dub built his reputation on the web, with the release of Born 2 Dub in 2007 and Bamboo Roots in 2009. In 2009 and 2010, he worked with Original Dub Gathering, a net label, to release the maxi single Subcontraire and the succefull EP Black Bamboo, downloaded more than 20 000 times after its release. In 2011, Panda Dub self-produced Antilogy, his only CD version’s EP. After the apparition on many compialtions, especially for ODGProd and Paproota net-labels, the Panda pursued with the release of Psychotic Symphony in January 2013. 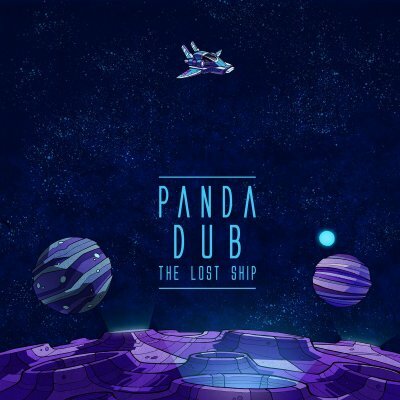 After two years of touring across the world and six months of creation, Panda Dub returns in April 2015 with his new album «The Lost Ship» .